If you haven’t already, you may want to consider that dreaded trip to the mall for your holiday shopping. 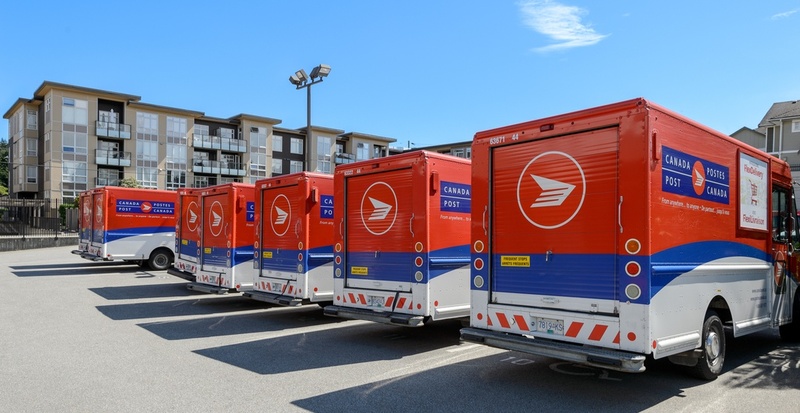 Although federal legislation has put Canada Post employees back on the job, after weeks of rotating strikes, the company still can’t guarantee their typical delivery timelines, especially with the holidays in full swing. According to Canada Post spokesperson Jon Hamilton, there’s a current backlog of six million packages across the country. Hamilton also explains how their timelines have been suspended since early November, several weeks after the rotating strikes began. He also explains that there are options for shipping with shorter timeframes — although they might cost more. External factors have also been creating delays for Canada Post’s ability to get packages out — difficult weather conditions and illegal pickets being two of them. According to Hamilton, the weekend is a valuable time for Canada Post to make progress on the build-up, through employees working voluntary overtime or through the hiring of seasonal employees. Some pickets though, have prevented packages from coming out altogether. According to the Canadian Union of Postal Workers (CUPW), a number of allies from neighbouring unions have been arrested after peaceful protests. Arrests have been made in Ottawa and Halifax. “In solidarity with postal workers, the protest-line allowed workers in but did not allow mail out,” reads a statement from the CUPW. Earlier this morning, union and community members set up picket lines outside the mail processing plant in Fredericton, New Brunswick, and outside the airport in Edmonton. Daily Hive has reached out to the CUPW regarding the “six million package” backlog and is awaiting comment.